A ruby red color with cherry reflections, this wine is characterized by a fresh aroma of cherry and morello with a long and spicy ending. The smell is of cherry and red currents. The taste is very well balanced. Ideal with roasted meats and also game meats. With a bright ruby red color this wine has scents of mature red fruits, black cherry and white pepper. 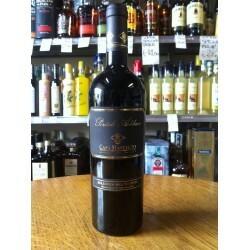 With a well balanced flavor, soft tannins and fruity notes. 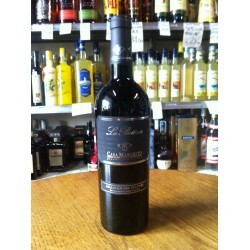 Ideal with sauces, roasted meats and also ripe cheeses. This Aglianico is like sipping pure velvet thanks to its chamfered tannins, we find surprisingly rich extracts and a great freshness. Excellent for enhancing main courses of red meats and roasts; excellent results on aged cheeses. Ruby red wine more or less intense, delicate and characteristic aromas which become better with age. A dry, fresh taste with the right amount of tannins. Very easy on the pallet. Excellent for enhancing main courses of red meats and roasts; also excellent pairing with pasta dishes based on red sauces.